The Big Blue AL1200XWP (120°) Duiklamp with Protective Case is the best-selling Bigblue dive light series of all time now available with a heavy duty protective case. Durable and built to last this case is the perfect companion to keep your Bigblue light safe! Ergens anders in Nederland goedkoper gezien? The Big Blue AL1200WP (85°) Duiklamp with Protective Case is the best-selling Bigblue dive light series of all time now available with a heavy duty protective case. 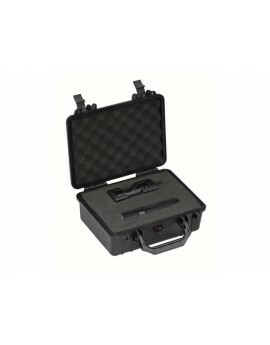 Durable and built to last this case is the perfect companion to keep your Bigblue light safe! Ergens anders in Nederland goedkoper gezien?